BMW Customer Track Experience + Lone Star HPDE. The Lone Star chapter is returning to our local track for another exciting weekend of learning all about our cars. HPDE stands for High Performance Driver’s Education and that’s what we do. The event is structure for all skill levels with in-car instructors as you start out. We are planning to run an Instructor Training School and will be working with Autobahn for another customer experience on-track. Registration details will be posted as they become available. For more information, contact Steve Hodges at shodges883@gmail.com. Hallett No Excuses HPDE and Club Race. A joint venture of 5 chapters, the Lone Star Chapter along with the Sunbelt, Kansas City, St. Louis and the Great Plains chapters, we will be returning to Jennings, Oklahoma for No Excuses 11. While it’s a little drive up north (it is actually at the end of the road of US-377), it’s a great little track in a beautiful setting. This event will be setup with BMW CCA Club racing, so make plans to be there early Friday to watch the action. For more information contact Steve Hodges at shodges883@gmail.com. The purpose of a driving school is quite simple: to improve your driving skills. We will emphasize the relationship of driver and machine, making them function in unison and giving you, as a student, the opportunity to learn your limitations and expand your capabilities, thus creating safe driving skills and habits in a controlled situation. We conduct the school on a closed course under the close supervision of experienced and trained instructors. You will learn how to handle and control your vehicle at speeds not normally attained on public roads. This will help to prepare you for emergencies in normal driving. It will also allow you to explore your capabilities as a driver and those of your vehicle. At no time will you be pushed or encouraged to go any faster than is comfortable for you. All participants will be organized into run groups in accordance with experience, skill, and type of vehicle. Your day is divided between driving on the track, classroom sessions, or free time. Yes, this is a school, and there is mandatory classroom time. All participants are required to attend classroom sessions to learn vehicle dynamics and driving techniques. Failure to attend will result in loss of driving privileges. These sessions will continue throughout the day to help you understand the fine art of high speed driving. In the classroom, you learn high speed driving theory. You learn everything from ‘why low-profile tires are better’, to what is the difference between an early and late apex. Car physics, such as what is really happening when I brake or why my car understeers or oversteers is also discussed. Each classroom normally has a question and answer session. Though you are on a track, with 20-30 other drivers of similar driving skills, it is not a race. Passing in corners is not allowed, and you are not expected to shift at redline, or go screaming through each corner with the tires squealing. Safety of the event is of the utmost importance. Driver conduct will be diligently monitored throughout the day by the staff, instructors, and corner workers. Infractions of the rules will not be tolerated, and will likely result in dismissal from the school. All participants will receive a Pre-Event Safety Inspection Report. You will be required to have a qualified individual/mechanic inspect your vehicle and verify its safety. This inspection should occur within three weeks of the event. At the time of the inspection, the participant must sign the completed Pre-Event Safety Inspection Report. The Pre-Event Safety Inspection Report must be presented to the Lone Star Chapter Registrar at the track on the day of the event. The participant will not be allowed to drive the vehicle on the track without first presenting a signed and completed Pre-Event Safety Inspection Report. Note: Brake Fluid must be no older than 6 months. See Tech Inspection form for details. The Driving School participant is solely responsible for the condition of the vehicle to be driven to, at, and from this event. You are solely responsible for insuring that your vehicle is safe before you come to the track. DISQUALIFICATION – Failure to present a completed Pre-Event Safety Inspection Report or failure to pass our spot check will disqualify you from participation in the event and your entry fee will be forfeited. All participants must present a valid driver’s license and be at least 18 years of age. No one under the age of 18 will be allowed in the pit area. All participants must wear helmets bearing Snell 2005 (M or SA) or later certification. No exceptions. Seat belts (same type for both driver and passenger) must be securely anchored to the floor and/or stock mountings. If your vehicle is equipped with racing harness/belts both driver and passenger harness/belts must be within the valid SFI or FIA dating. SFI dating is 2 years from date of manufacture and FIA indicates the year of expiration. Stock and “Schroth type” Street Legal belts must be installed according to manufacturers specifications without modification and must NOT be faded, frayed, damaged, or significantly worn. Under no circumstances will timed laps be permitted! If you are seen with a timing device (stop watch, On-Board-Computer timer, etc.) at any time, you will be asked to leave and forfeit your ability to participate in this or future Lone Star Chapter Driving Schools. 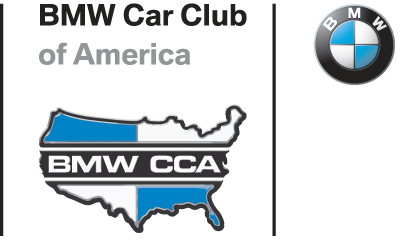 NOTE: A special thank you to the Boston chapter of the BMW CCA whose information included here has been adapted for our use.